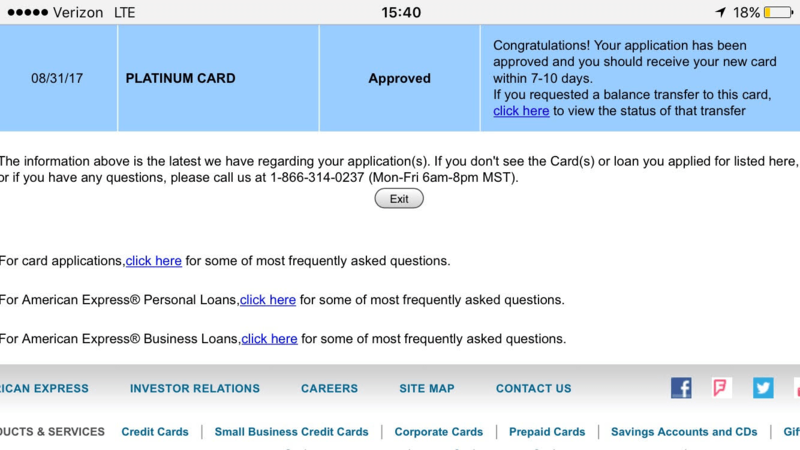 I just got approved for my 8th charge card from AmEx. The Ameriprise AmEx Platinum Card joins my two Business Platinums, Personal Platinum, Morgan Stanley Plat, Charles Schwab Plat, Premier Rewards Gold, and Mercedes-Benz Plat Charge cards. Also confirmed is the lack of Ameriprise relationship was not a factor in getting the card approved. This has been reported in other sites as well as a fellow O-3 that takes the train with me. Now I get nothing from this new card as there is no current sign up offer. The best part of this particular card is the first year free for this card including AU cards! I get the $550 fee waived anyways so that is not a huge plus. I could always get a relationship with Ameriprise via Costco’s car, auto, or flood insurance plans. I got the card just for another $200 for United and another $200 for Uber. Mostly It was to be the datapoint to show that you could very well exceed the 5 card rule that is strictly for AmEx’s Credit products. I got my wife to sign up for the 100k Hilton Surpass Card that comes with a free night. Her referral link can be found here, if you are at all interested. Keep in mind, I hit my 5 Credit card limit pretty quick, and had to cancel my SPG card to get the Business SPG. The HHonors Surpass card is the best offer so far from AmEx who still continues to waive annual fees for military. Do you know what the ins and outs of the 5th credit card rule are? I’ve gotten 10 amex within the past 12 months. Mostly charge but 4 credit all with AF. Got denied straightup when I tried to aply for my 5th card. I asked for recon and my app was transferred to recon but I didn’t actually talk to anyone over the phone and my app was denied again after several days. Wondering if I need to recon verbally over the phone, or if 1 of my credit cards needs to be no aF, or if I just went too fast with amex and need to sit it out for a bit…? I just had to call for my 6th card, where I had to cancel one of them, not sure if the rules have changed. They counted the SPG business card as on of the 5 credit cards. AMEX has a rule where you can only be approved for 1 CREDIT card every 5 day rolling period and 2 approved CREDIT cards every 90 day rolling period. This does not apply to charge cards.